Dear God in heaven, I come to you in the name of your Son Jesus Christ. I acknowledge to You that I am a sinner, and I am sorry for my sins and the life that I have lived; I need your forgiveness. I believe that your only begotten Son Jesus Christ shed His precious blood on the cross at Calvary and died for my sisns, and I am now willing to turn from my sinful life. You said in Your Holy Word, (Romans 10:9), that if we confess the Lord our God and believe in our hearts that God raised Jesus from the dead, we shall be saved. Right now I confess Jesus as the Lord of my soul. With my heart, I believe that God raised Jesus from the dead. At this very moment I accept Jesus Christ as my own personal Lord and Savior and according to His Word, I accept Jesus and Your salvation into my heart. Thank you Jesus for your unlimited grace which has saved me from my sins and from eternal death. I thank you Jesus that your grace always leads to repentance. Therefore, Lord Jesus transform my life so that I may bring glory and honor to you alone. I ask in Jesus name that you may add my name to the Book of Life. THANK YOU JESUS FOR DYING FOR ME AND GIVING ME ETERNAL LIFE! If you just said this prayer and you meant it with all your heart, we believe that you just got saved and are born again. You may ask, "Now that I am saved, what's next?". First of all you need to get into a bible-based church, and study God's Word. Once you have found a church home, you will want to become water-baptized. By accepting Christ you are baptized in the spirit, but it is through water-baptism that you show your obedience to the Lord. Water baptism is a symbol of your salvation from the dead. You were dead but now you live, for the Lord Jesus Christ has redeemed you for a price! The price was His death on the cross. "Therefore, if anyaone is in Christ, he is a new creation; the old has gone, the new has come." Below are phone numbers to tremendous prayer ministries where you will find prayer counselors who love you and are willing to pray to God with you on your behalf or for whatever purpose you may be calling. Gridlock Males and Stud Services. Click image to view. Gridlock Females. Click image to view. Gridlock Inhouse & Upcoming Breedings. Click image to view. 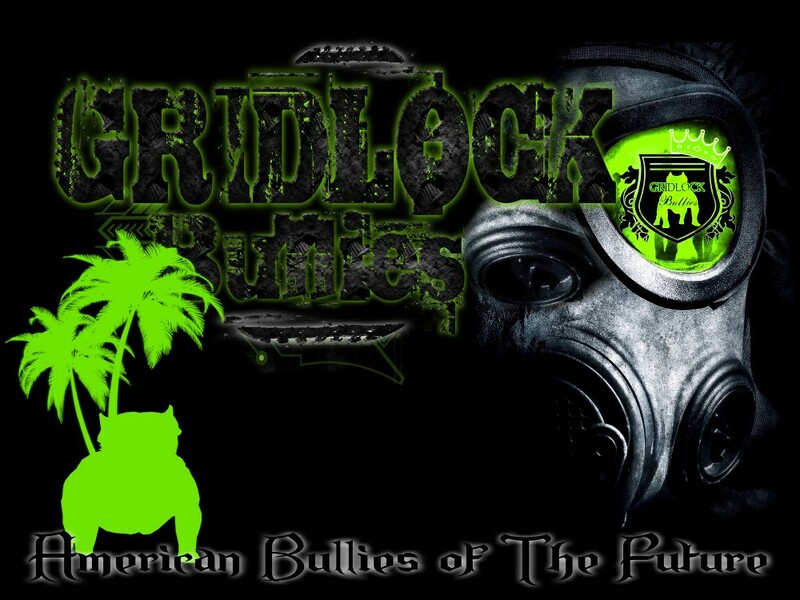 Gridlock Puppies available for Sale. Click image to view. 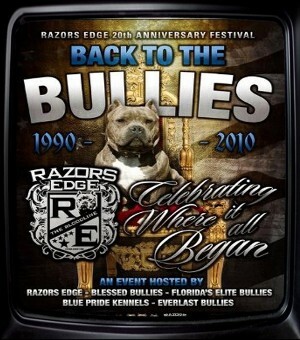 These pages and graphics may not be published in any way without the written consent of Gridlock Bullies / Florida Blue Pit Bulls.